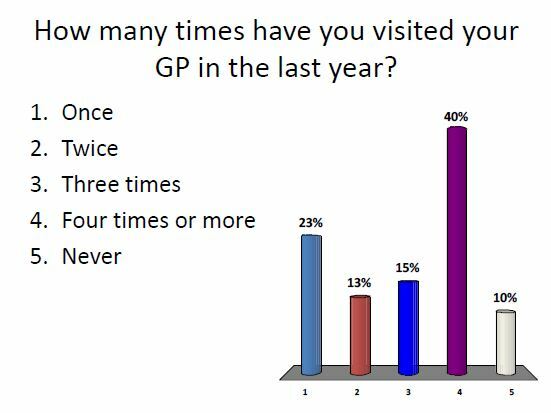 The vast majority of the group (90%) had visited their GP in the last 12 months, which maybe surprising in such a young profile of older people. Unless it was related to preventative visits, for example :- flu vaccinations. The high demands put on medical services are reflected in the 40% of the group who visited their doctor on more than 3 occasions in the last year. The difficulty of getting an appointment with GP’s has been much in the news recently. ( See my blog entitled “Disappearing GP’s” ). 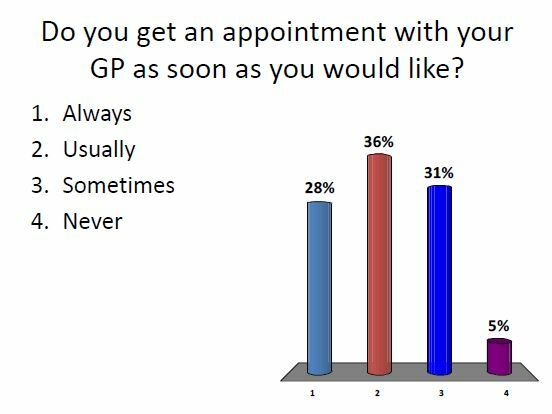 Within this group 70% of people had some difficulty getting an appointment with their GP in what they considered a timely way. The alternatives for them would be to contact NHS Direct or now its successor – the 111 service. The NHS Direct service was rightly or wrongly blamed for significantly increasing the number of people turning up at Accident and Emergency services. The new 111 service is reputedly in all sorts of difficulty recruiting suitably qualified staff. Neither options seem a good alternative to the once universally respected GP family doctor.